^impressive… and soon there will be more..
One of classics and “must see” anime. Something that brings more questions to your anime related life than actually answers any of them.. Well as I already saw RahXephon I can’t avoid comparing them and not knowing some of things that probably will happen. Though ending of this one is more mmm how to call it.. if possible – unexpected. In RahXephon they at least explained something and showed something, and in this one… its really mindf*ck and that’s all. The sure is that Rei has a lot of clones of herself, because they show a big pool full of mindless Reis.. And she understands that. She is a type that attracts others even without showing off, talking a lot or doing stupid girly things.. she is that kind of person who doesn’t need to be in the center of anything she naturally is..
Let’s move on. At first everything is more or less understandable and has reasons. There comes one more pilot Asuka, who has a strange past when her real mother killed (or tried) kill herself and wanted Asuka to “go with her” but as Asuka wanted to live she just has to bear with the fact that her mother wanted to kill her. So to protect herself Asuka becomes cocky girl that “has to do everything the best and can do everything on her own”.. but under the tough outside she has a serious mental problems and has to fight herself all the time. And that’s not easy when there are dumbasses ^ like that..
to say in short this anime for me has the best character psychoanalyzes in all times. 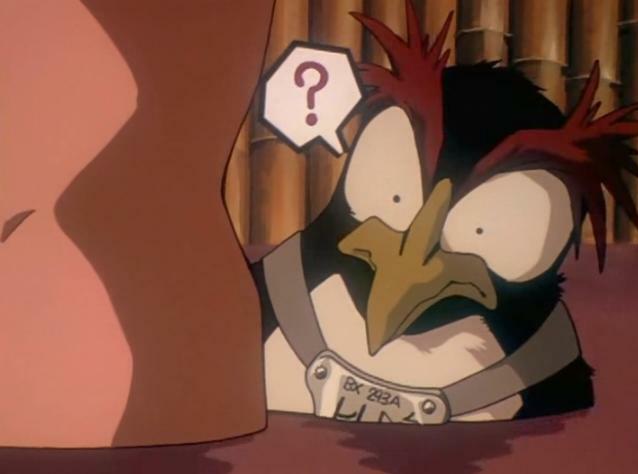 (dont mention the pictures, because I spotted them out only because they were funny and that was rare in this anime). Problems all these kids have to face and to deal with are real, they grow from the surroundings and other people. And on top of that they have to deal with that they have to pilot Evas. Maybe its one way of showing that they actually have problems to begin with. 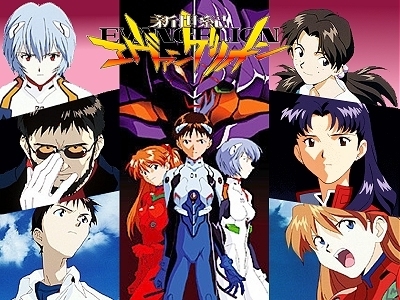 They are “the soul of Eva” that brings their own minds out and instability they feel inside has something to do with the way they deal with piloting (Eva brings all the unwanted thoughts back). Rei being not the only one in the world and knowing that she is replaceable, she tries to protect everything with all her might and even dies doing that. Asuka trying to accept the fact that she has to be alone, because she can’t trust anyone, so piloting is her only reason of living, because she can’t do anything else. she tries to win in any case, but usually messes up, and in the end even can’t move. on the other hand she is so damn afraid of being totally alone and not recognized.. Ikari.. running away from his duties, form his father and Gods knows from what else (they repeat that all the anime, but I believe that’s only the way to hide some other things). His mother died in one of those Eva things on the first try out in front of his eyes, I think that’s the first thing he actually runs from. He is a kid that just wants to be recognized by his father (he was left by him when was a kid), he wants to be praised, to be right, but not to kill his friends.. And there is one more character – Misato, the girl that is in charge of Ikari and lives with him. She is a girl that tries to live for now, live for today and in the end gain something to treasure for the rest of her life (that probably is the reason she tries to hang on to Kaiji). but she is truly afraid of being alone, being left behind like it was when her father left her mother. To play Gods, to make a God.. that what brought out all this. The greedy for power of human specie that what makes them suffer and makes suffer others. These three kids has to suffer. Eva brings out all the dark in person’s mind and unify it with the mind of real person and they become true to themselves, that’s the way to make a God – the one that understands everything, and lives in a world that he creates, but also creates it in the real life and gives a color to it. Your world is the way you create it.. and the way you live in it.. and you share it with the rest of people around you. But the end still is strange, because it is more of Ikari’s mind and analyze of it, the world in his mind, the people, their opinion and behavior.. its like a trail of everyone. And you feel like you want to understand what they talk about, and somewhere deep inside you do, you have a feeling that you do, but you can’t tell what exactly you did understand. It makes you feel like you miss something important in it, something like a link that would make everything clear and finally you would understand. You hold on to every word they say, every picture they show, but you still miss something in between the lines. But I’m not here to search for it for you, you will have to do that by your self ^.^ mean mean me.. 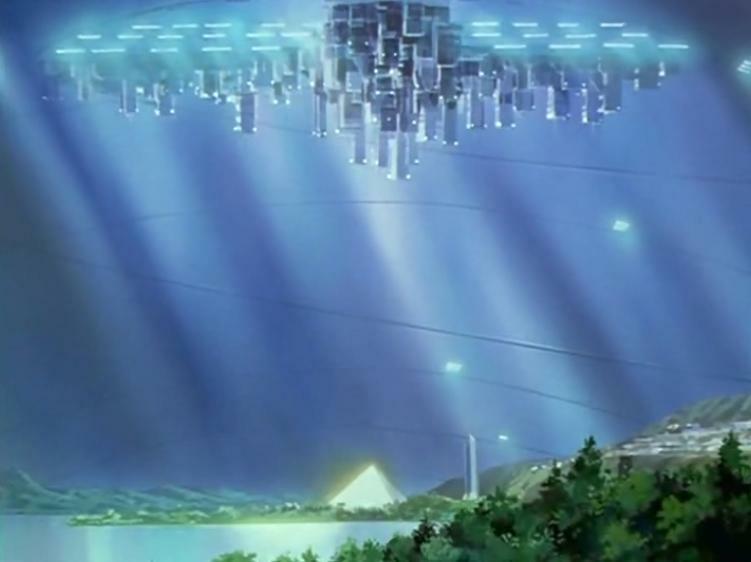 This entry was posted in Anime and tagged Evangelion, Gainax, Hideaki Anno, Tatsunoko, Yoshiyuki Sadamoto. Bookmark the permalink.